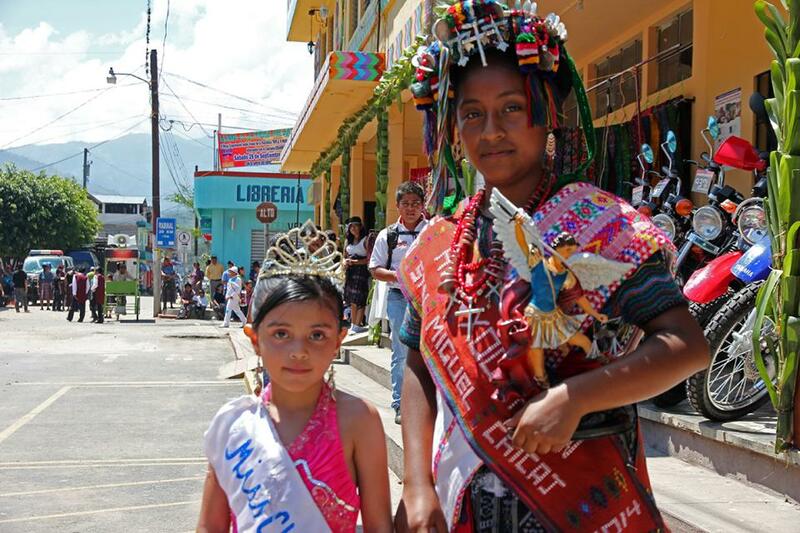 The love for Guatemala seems nearly unanimous amongst backpackers in Central America. Ask anyone who’s followed the Central American ‘gringo trail’ which country was their favorite and, I’m not kidding, their answer will usually be Guatemala. While I had no expectations going in, it ended up being quite possibly my favorite country too. While Mexico and Costa Rica are the more popular destinations in the region (both attracting more mainstream tourism), Guatemala can feel a bit more like an authentic adventure. It’s a vibrant, colourful land, with beautiful colonial architecture, ancient Mayan cities, spectacular rainforest scenery and stunning lakes. It can make for a great single-country trip, though also combines particularly well with Belize and southeast Mexico into one itinerary. Astounding natural beauty. Guatemala has it all: giant lakes, lava-oozing volcanos, dense jungles, fertile green valleys, and huge mountains all begging to be explored. As soon as I made it into Guatemala from neighboring Honduras the change was immediate and dramatic: this is a country where you will often want to stop to admire the view. A place for outdoor adventurers. Whether it’s going on jungle treks in the north, hiking volcanoes in the south, or caving, swimming or tubing around the azure waterfalls of Semuc Champey, Guatemala is the perfect destination for the active traveller. Home to the most impressive Mayan archeological site. The epic ruins of Tikal are almost worth coming to Guatemala for alone. It’s a huge Mayan site in the middle of the jungle that, unlike more heavily exploited archeological sites elsewhere, manages to retain its mystique. 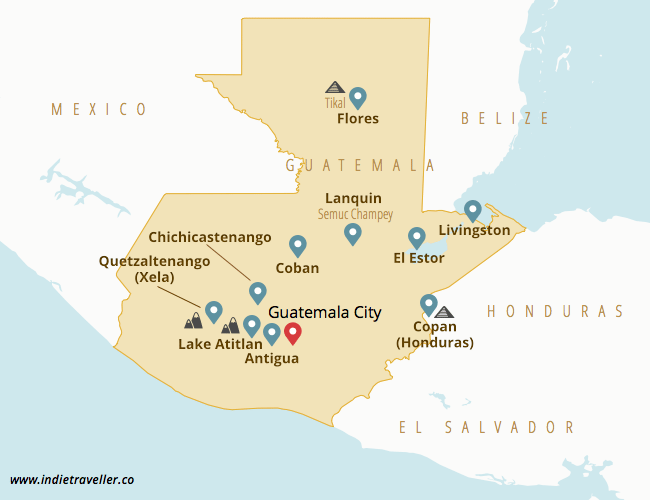 The map below shows some of the main destinations in Guatemala (though there are quite a few others, of course). Many of Guetamala’s main destinations are crammed together just west of the capital. It’s actually impossible to easily fit them all on an overview map! The colonial town of Antigua is a huge tourist draw. Further west is Lake Atitlan, which has several towns around its edges that are visited by many backpackers (including the towns of Panajachel and San Pedro). Further west still is the city of Quetzaltenango, which is also known by the name of Xela. It is primarily a great base from which to go hiking or volcano climbing. The whole Guatemalan highlands area is filled with impressive volcanoes. The Carribean side of Guatemala is much less visited and you’ll find fewer people heading into Livingston or El Estor, so consider these locations to be somewhat off the tourist trail. The town of Copan, just over the border into Honduras, it a popular waypoint heading east into the rest of Central America, and sees some day trippers from Guatemala as well. Note that the tiny Mayan ruins of Copan are not comparable to the sheer grandure of Tikal. Don’t miss Semuc Champey in the middle of Guatemala. You can read more about this wonderful place further below! 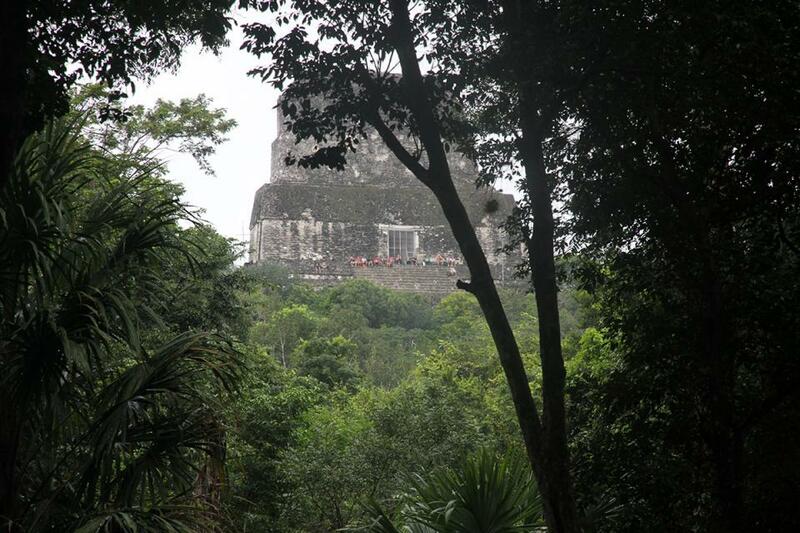 Tikal is easily the most breathtaking Mayan archeological site in Central America. While Chichen Itza in Mexico is more famous internationally (and more heavily marketed due to its close proximity to Mexico’s beach tourism capital of Cancun), the more remote Tikal seems much more deserving of ‘world wonder’ platitudes. The site comprises of five main temples with many more ruins around it still enveloped by jungle. Having a good guide can make all the difference as you will be able to fully appreciate the history and significance of the place. If you do choose to explore independently make sure you don’t miss Temple IV. The view from the top of this tallest temple is fantastic. Film buffs will want to know this very view was also featured in the original Star Wars trilogy. Go in the early morning. This really pays off as the site is best experienced without the masses. Daytrippers arrive by plane from Antigua starting around noon, so you have until then to explore the park in relative quiet. Some people try to get to the park for sunrise; tickets for this cost extra and have limited availability, though you should know that the jungles are usually very misty this early which means sunrise can be disappointing. Decide if you want to sleep in the national park. Accommodation in the park is much more expensive, but you get a chance to wake up in the jungle to the sound of howler monkeys and tropical birds (I did this at the Palenque ruins in Mexico and loved it). If you are on a budget, the nearby town of Flores is wonderfully situated on an island in the middle of a lake about a 45-60 minute ride from the park. It’s home to cheap hostels, so many backpackers stay here and get an early shuttle bus to the park. There is a well-established backpacker circuit and so all major locations have plenty of affordable accommodation to choose from. Here are some hostels and guesthouses that I recommend..
El Hostal Antigua Super cozy, in a colonial house with leafy courtyard. Both dorms and B&B-style options. Base Camp Antigua Hostel doubling as an agency for volcano hiking or mountainbiking tours. Good place to make friends. Chaltunha Hostel Flores Hostal Los Amigos is actually my first recommendation in Flores, but it fills up fast and can’t be booked online. Chaltunha is the next best thing. El Retiro Lanquin (Semuc Champey) Cute riverside hostel with private bungalows. Loved staying here. Try the wood-fired sauna hut, then cool off in the river. El Muro Lanquin (Semuc Champey) Got a tip about this nice social hostel, one of the few in Lanquin to also offer dorms. The Black Cat Quetzaltenango (Xela) Xela is at a colder higher altitude, but The Black Cat makes you feel at home with mulled wine in winter and a sunny patio in summer. La Iguana Perdida Lake Atitlan (Santa Cruz) Highest-rated hostel along Lake Atitlan in the small hamlet of Santa Cruz. No road access, so take a boat from San Pedro or Panajachel. Mr Mullet’s Hostel Lake Atitlan (San Pedro) Both dorms and private rooms in San Pedro’s most popular hostel. Hospedaje El Viajero Lake Atitlan (Panajachel) Nice guesthouse on the main road in Panajachel, just a short walk from the lake. Flores is a tiny village on an island in a lake in the very north of Guatemala. Besides being a perfect base from which to visit the ruins of Tikal or for onwards travel to Mexico or Belize, it’s also a great place to stay in its own right. You can relax, canoe around the island, or visit the colourful markets in adjoining Santa Elena. I highly recommend staying in hostel Los Amigos, which is still one of my top favorite ever hostels for good atmosphere. So-called chicken buses are former US school buses used in Guatemala for local transportation. They are often painted in bright colours, and on occasion you may even find that the driver has installed an elaborate sound system blasting non-stop raggaeton (one time my bus even had disco lights!). While slow and at times uncomfortable, you can get a real taste of Guatamalan culture by taking a chicken bus instead of a tourist shuttle van. 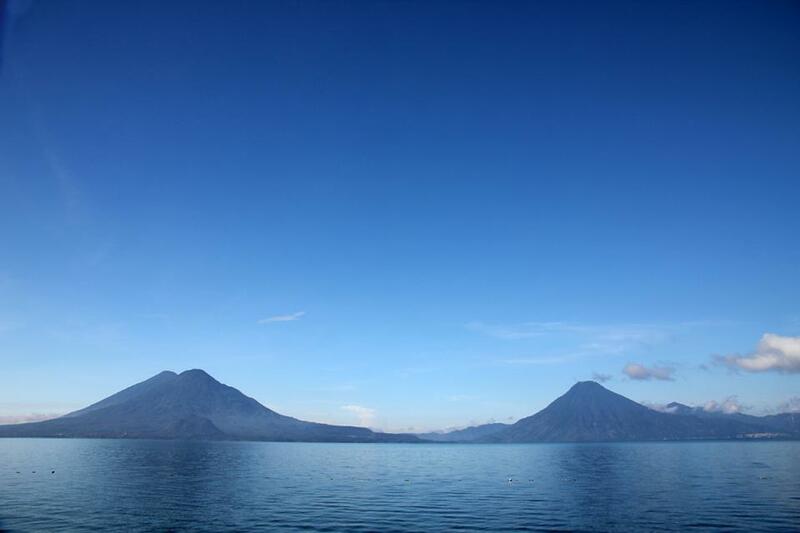 Lake Atitlan is a beautiful lake in the Western Highlands of Guatemala that is ringed by several volcanoes. You can hop by shuttle boat between the villages surrounding the lake, many of which are backpacker favourites. The lakeside town of Panajachel is the most easily reached from Antigua and elsewhere, but it’s very touristy in high season (and offputtingly so for me personally). You will almost trip over all the souvenir stands here, but it does have the most direct view of the volcanoes. San Pedro is the main backpacker hangout, and it’s a wonderful laidback place where you can relax, go hiking, party or (like so many) cheaply learn Spanish in one of the many schools. I loved this place, and many travellers end up staying here longer than anticipated. Nearby San Marcos is a small and charming alternative/hippie hamlet, also directly on the lake. Chichicastenango is famed for having the largest market in Central America. I unfortunately had to miss this during my stay in Guatemala, but many people told me it was one of their highlights. I want to point you to this amazing photo report posted on travel blog Lunaguava, which will surely inspire you to go. 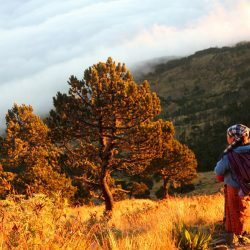 Xela (also known as Quetzaltenango) is a popular base for hiking. Many make the multi-day hike from Xela to San Pedro at Lake Atitlan, which takes you through glowing hills and green forests. Other popular hikes from Xela go up to the many nearby volcanos. If you have the stamina, be sure to hike up Tajamulco volcano (the highest point in Central America) and get there for a stunning view. I hiked up Tajamulco at night and then saw the sun rise over the clouds. It was one of the best things I did in Central America and still gives me goosebumps thinking about it. Tajamulco is far from the only volcano in Guatemala though. Closer to the capital you’ll find Volcan de Fuego (the fire volcano) which you can see erupting at night from the nearby Volcán Acatenango or when you’ve climbed up Pacaya Volcano. Antigua is like the pretty ballerina of colonial towns, with charming and colourful lowrise buildings and direct views of two nearby volcanos. The view from beneath one of its archways is postcard-famous. If I’m honest, I do have to say that Antigua gave me the biggest spike of initial excitement but also the biggest subsequent drop. At first I was gobsmacked by its prettiness—I mean, there’s volcanoes in the background from multiple vantage points throughout the city, and the houses are so colourful—but then you quickly start to wonder what else there is to do. 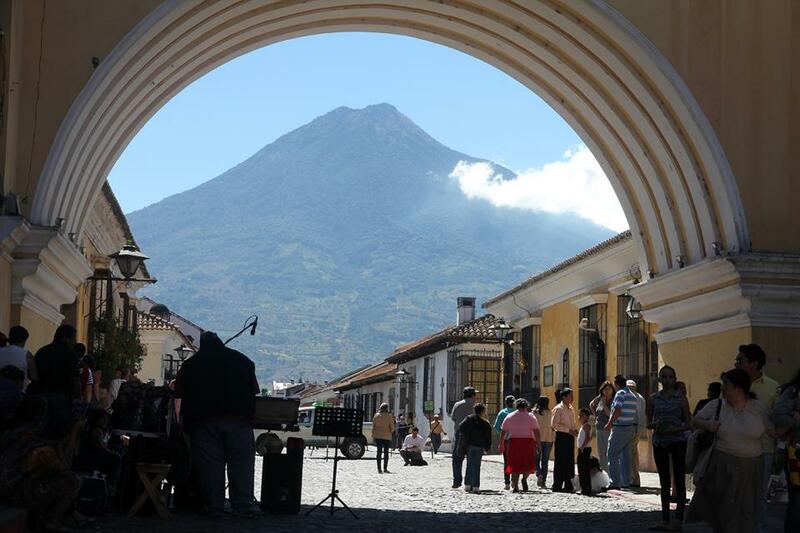 Lonely Planet describes Antigua as ‘a Guatemalan town as if designed by IKEA’, referring to the way many restaurants and hotels have been trendily renovated for tourists. I was content spending just a day or two here and enjoy its postcard look, but prefered spending more time around lake Atitlan. Giving a factual description of Semuc Champey—that it’s a cascading series of beautiful azure pools in the jungle—might sound cool but it doesn’t quite convey how wonderful it is. This is particularly true if you go on a full-day guided adventure around this area, which I thought was one of the most delightful things I did in Guatemala. They will show you some cool secret areas, the look-out point above, and will take you into nearby caves (which you’ll enter with nothing but a wax candle for light). If you are an adventurous sort of person you are going to have a fun-filled day. The nearby mountain town is pleasant as well, with a number of riverside hostels and bungalows that are worth staying at least a day or two. Read This: Semuc Champey: why this jungle paradise was my surprise highlight of Guatemala. Unlike some of its neighbors Guatemala does not have any noteworthy beaches. That’s not hugely to its detriment, but just something to know. The pacific coast of Guatemala is hard to reach, has dark volcanic sand, and swimming here is perilous due to strong tides and undertow. The Carribean coastline in turn is fairly short and unremarkable. If you’re looking for quality beach time you should take a closer look at Mexico, Belize, Nicaragua or Costa Rica. 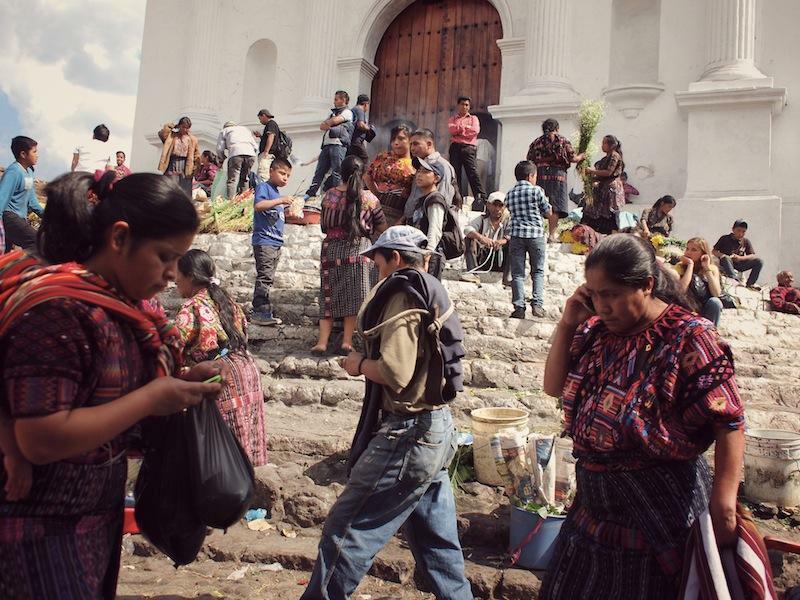 As you research a trip to Guatemala you will inevitably start to wonder if it’s safe for travel, as there are occasional bad reports coming from this country. The honest answer is that not all is 100% peachy in Guatemala and crime is a problem. On the other hand, it’s also mostly just fine for a traveller so long as you are sensible and exercise normal caution. I experienced no problems whatsoever myself and neither did almost every other traveller I spoke with. I did hear two first-hand stories of theft and one of robbery (albeit a drunken and avoidable situation), so make of that what you will. For a less subjective indicator: according to UN statistics, Guatemala sits somewhere between the extreme crime levels of Honduras and El Salvador and the relative high safety of Nicaragua and Costa Rica. Make sure you know the best practices for staying safe and keeping your belongings secure. It’s wise to take taxis at night, and if you intend to go walking or hiking it’s best to go with a guide who knows which areas to avoid. Antigua sees the most tourists and it’s actually here that opportunistic crime seems rife, so even though it’s a pretty-looking town you shouldn’t completely drop your guard here especially at night. Take care in Guatemala City; as with most Central American countries, the capital is big and has some sketchy neighborhoods. Having said this, I also know from my own experience that it’s easy to get needlessly worked up about it. Some suggested reading: Travel Safety: How To Keep Things In Perspective as well as 6 Safety Tips For Central America. Be informed, don’t be naive, but don’t be paranoid either. Guatemala can be very inexpensive, and for backpacking in Guatemala you should budget around $25-$30 a day. Hostel dorm beds cost $6 to $12 depending on where you are. You can find cheap rooms with shared bathroom from $8 to $16. Street stalls or meal-of-the-day type places sell you a full plate of food for $2-$4. For a more proper restaurant with a la carte ordering expect $4-$10 minimum (and upwards of course). Shared shuttles between the major points in the south are never more than $10-$15. Chicken buses often cost as little as a dollar. I’ll be adding more links when I come across any good stuff! This is some great info planning a trip to Guate soon. I lived in Costa Rica years ago and since have been back to visit but I am really looking forward to this! I have never been. What do you know about the border town Tecum Uman? Is it safe near the border ? Hi Jackie. It’s been a few years since I passed through Tecum Uman. I guess there could be some migrants related issues but I have no idea. Maybe check the official safety advisories. Thanks for the info! How do you get around the country – how do you find the busses? Or do you take private shuttles? Are there any resources on how to get around using the bus network? Hey Gerald. It’s always such a difficult question to answer as some travelers are content just to spend a couple of days in a country. But personally I think 4 weeks is perfect for traveling Mexico + Belize + Guatemala without rushing too much, but not enough for going the whole way. On my first time in Central America I took about 3 months going from Yucatan to Colombia (and I still rushed through Costa Rica and Panama). I think it’s usually better to keep the route more manageable but do more things in each country. Hi! great blog, thank you. I’ve been thinking of going to Mexico and also do central America for a while now and this post made me want to go even more . My biggest issue is though how I should go from place to place. Is the most common thing to rent a van or car and go, or is it easier to go with busses etc? Hey Alice. I’ve traveled Central America with buses and also with a friend who purchased a car in Panama and later sold it in Mexico. I think it’s by far the easiest to get around using buses. You usually can’t take a rental car across borders. My gf and I are planning on backpacking around Guatemala and we’re wondering how long did your trip take?! We’re planning it for three weeks and it’s quite similar to your route. Hey Amina. I did 4 weeks (at least if I can remember correctly). 3 weeks is a good amount of time for Guatemala! I loved Flores. BUT Bus ticket scams are now very common. AVOID Everlasting Travel Agency and “Cesar” AT ALL COST! He is a LYING CHEATING FRAUD! ´If they know you are buying a ticket out of Flores and won’t come back, they will overcharge you wildly while telling totally sincere sounding stories how they feel sorry for travellers getting cheated by others. EVERLASTING TRAVEL AGENCY sold me a ticket to Chetumal/Mexico and on to Tulum at 400% the regular price. I knew it was expensive but wanted a guaranteed seat as it was the last bus of the evening to Tulum, Mexico and transfer time was short. I was given a (fake) voucher for the onward Chetumal-Tulum trip, to be changed into a bus ticket at their “partner agency” in Chetumal terminal. The partner agency did not exist. Needless to say, I had to buy a new ticket and also ended up missing the bus and getting stranded in Chetumal for the night. Fraud like this seems to be common in Flortes – they prey on travellers who they know will not come back and report them to the police. Best buy at your honesat hostel. I compared a lot of prices and the touts in the streets and agencies were ALWAYS a worse deal. Do not believe what they tell you about hostels taking higher prices. Trip times are easily double of what this crook Cesar tells you. He also lied about the route, saying this bus would go directly to Chetumal (via Belize) and NOT stop on the road. Instead, it got off to a really late start because the driver picked up extra passengers (Guatemalans as a side business, in all sorts of out of the way places, so people and suitcases were stacked in the aisle), then went all the way into Belize City to pick up more travellers, amid rush hour…Instead of 7 hours, the trip took 14,5 hours and people were starving. I could go on and on. Worst experienvce in Guatemala. But DO GO! It’s a wonderful travel destination! Just beware of the crooks in Flores, there are MANY of them! Just passing by to say thanks! I was looking for a place to spend 10 days in Central America and this post made me go to Guatemala. It ended up being an amazing experience. Tikal, Semuc, Antigua and Atitlán, all worth the trip. The only thing I’d recommend in addition to the above is hiking Acatenango, near Antigua. 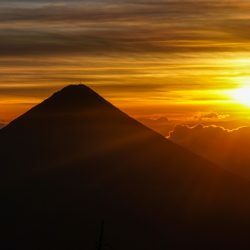 I also found Antigua underwhelming (much more touristy than a decade ago I was told) and decided to do the 2 day Acatenango hike, spending a night at the base camp near the summit. 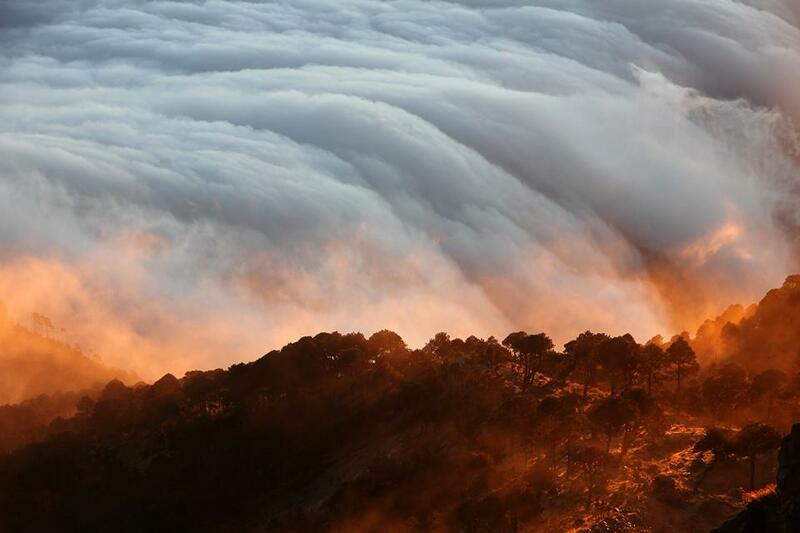 The sunset/sunrise, as well as seeing nearby volcano Fuego spewing lava at night, were experiences of a lifetime. Hi, I am passionate scooter rider ad would wish to travel Guate by hiring a scooter motorcacle. Do you think I would face serious problems while getting around? Thank you for an answer and wish everyone a nice day. I don’t have any experience with exactly that, I’ve only driven around Guatemala by car on a road trip. The quality of the main roads is fine, though for safety we avoided driving at night. It was a great experience, most of the drives were very scenic! Wow unreal.. you made my decision 100 times easier! Thanks pal! I am traveling solo on my first backpacking trip to Guatamala on February 2nd. Don’t have an itinerary, but have been reading up on Guatamala for the past couple months before making a decision on Guatamala. I would like to backpack the volcanoes and visit the ruins. If anyone is planning a trip around that time and would like to hook up just mail me. Im in San Pedro de la laguna at the moment doing spanish and I will be heading to Antigua in a week to do the famous pool party and hike up the Aceatango Volcano. Ive been looking for cheap shuttle buses from Antigua to La Ceiba, and after from La Ceiba to Leon and have only found private companies that do it for a whopping $65 USD! Can you help me out, is there any other companies that do it for less? 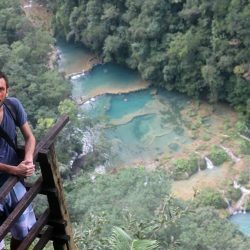 Hands down one of the best Guatemala guides I have found on the travel blogs! Really great! What you said about San Pedro, Lake Atitlan is absolutely true. We had to pull ourselves from that place and move on or we would have spent our entire trip there. Everyday, we would say to ourselves…. should we leave today… nah.. one more day. This happend for two weeks. 🙂 Anyway! Thanks for the guide! Great and helpful article! I want to travel to Central America in January for three weeks. This will be my first solo travel experience, so I’m still contemplating were to go, since I’ve seen none of those countries. Right now I’m hesitating between Nicaragua and Guatemala, but since Nicaragua is regarded safer than Guatemala, would you recommend me to visit Nicaragua, because this will be the first time on my own (I’m 19 btw)? It’s not that I’m afraid to go there, and I really want to see the ancient Mayan heritage, but I would like some advice. Good question, Liam (and one that’s always hard to answer!). Nicaragua is easier to start with but Guatemala does have the Mayan heritage and more impressive landscapes. You might be jumping into the deep a little but if you can take care of yourself, maybe go for Guatemala. I had been hesitating where to go on my first Central (or South) America trip, but your Guatemala page has really excited me to focus my efforts on going there. The plan I have now would be to go there for 3 weeks, fly in to Guatemala City from Amsterdam, go by Semuch Champey to Tikal/Florens, then probably take an express bus to Belize City to go to Caye Caulker for the beach and from there move back towards Guatemala city to go to Lake Atitlan/San Pedro and perhaps do the hike toward Tajamulco and/or from Xela towards San Pedro. Do you think that’s doable (and recommended..) as a 3 week trip for a first time solo backpacker? Hoi Bram. Yeah that’s doable within 3 weeks, though I guess it’s a pity your route will probably involve covering some ground twice (back and forth from Belize). Maybe a more efficient route is possible. But yeah, it can certainly be done in 3 weeks. As for first time solo, the social aspects of solo travel are easy here as there’s loads of other travellers around. Crime can be an issue in both countries, so they’re not quite as carefree as other places that are more popular with solo first-timers (like Thailand etc). Not a huge issue, just be sure to have read the common travel advice for this region. Hey, just letting you know Caye Caulker is beautiful but doesn’t have beaches! I’m going to Guatemala with my husband and parents Feb 3-14th, 2017. 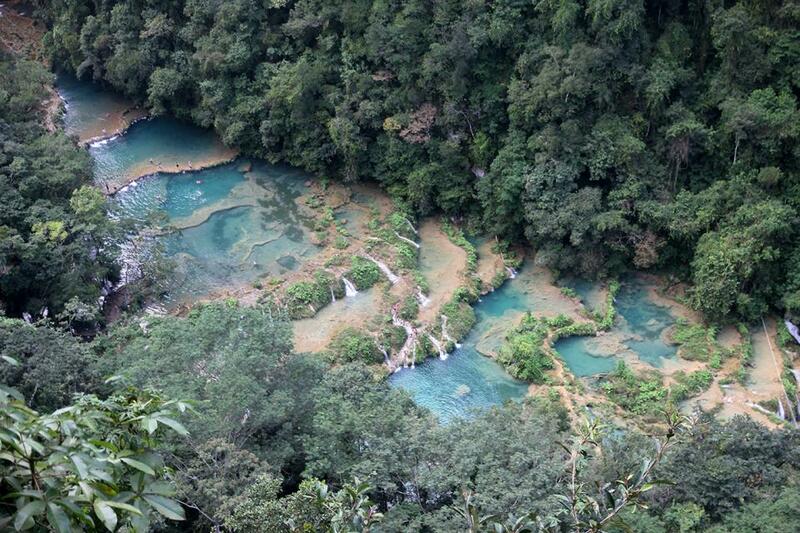 I keep hearing great things about Semuc Champey – but I can’t find any easy way to get to or out of that area. Please share how to got to Semuc (transportation, amount of time & cost). Thanks!! I took a bus from Flores that took 6 hours, and found an onward bus to Guatemala City / Antigua from there. It may be difficult to book these things online though. If you can’t find anything on Semuc Champey, try “Lanquin” which is the name of the nearby town. Hope this helps! Hey Rachelle. If you are trying to get there from Flores, head to Los Amigos hostel. They run a small travel agency inside and can organise transport. You can do the same thing from the hostels in Antigua. Try Bigfoot Hostel in Antigua. Thanks for your awesome blog, the advices have been really helpful so far 🙂 I’m planning a 2 months trip (January & February 2017) and I’d like to improve my spanish while getting in touch with the locals and the culture. Following your tips, I’d like to go to Flores & Tikal, Semec Champey, San Pedro and maybe head over Livingston to do volunteer in a library for kids! Do you think it’s realistic to do so in 2 months and do you think I left an important destination out? Hey Laurianne. 2 months will definitely let you experience Guatemala to the fullest. I did quite like Xela as well – it’s nice especially if you like to go hiking. But I think you’ve mentioned the highlights. Hi! Im planning a trip to Mexico, 3 weeks. Was thinking Cozumel/Tulum-area. 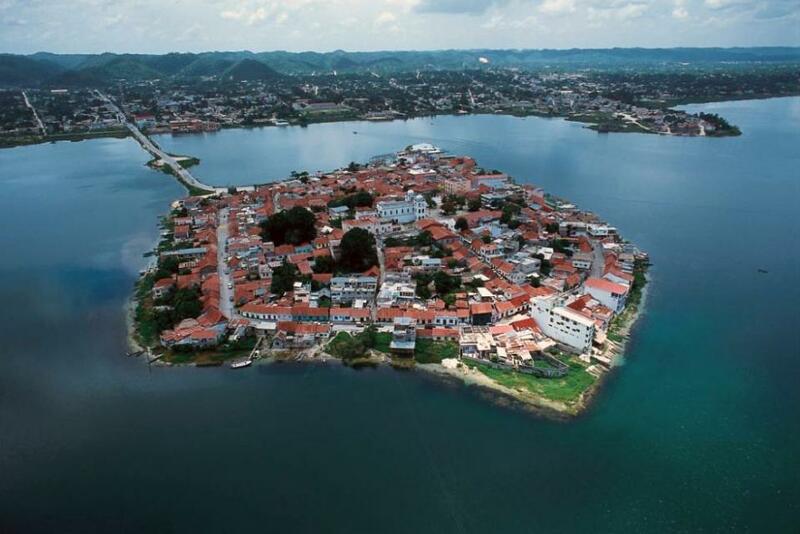 But Guatemala looks supernice too! Do you think its possible to visit Tikal and maybe Flores on that trip? Dont want to stress around. And how to get from Tulum to Tikal, is there a bus going that way? Sure, it would make for a great addition to your trip. You can get there via Belize: take the bus to Chetumal, then Belize City, then on to Flores. You could stay for a day or two at Caye Caulker to break up the travelling a bit (there’s a boat going straight from Chetumal to Caye Caulker). 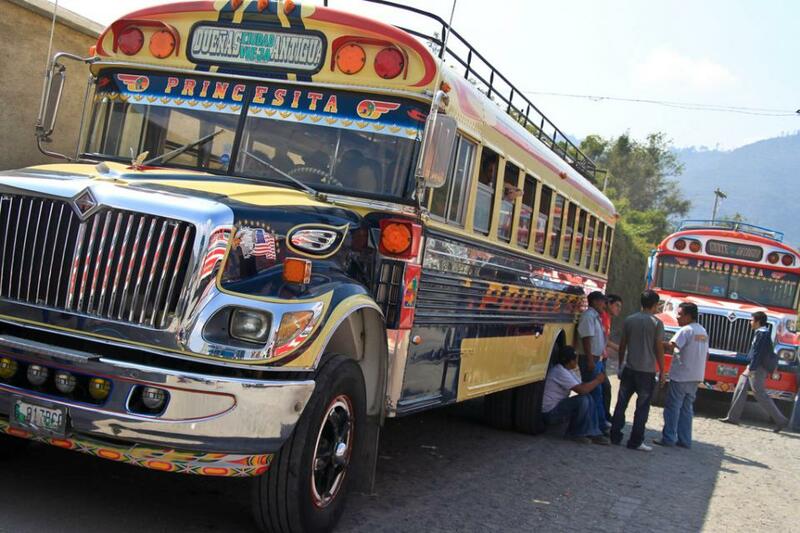 There’s also a bus from Flores to Palenque, from where you could circle back to the Yucatan. Hey guys! I have heard really good things for backpackers I. Guatemala. I will travel in tow weeks only for 10 day… I am on my budget and traveling solo. What route do you guys recommend me?? I will arrive to Guatemala City from Colombia. , any suggested route for 10 days?? I was just about to go for brazil, but your post kinda totally changed my mind. Just unsure about the time: I have 23rd july to 13 or 14th sept. Question n.1: is the weather ok in August ? (I’m just concerned about dengue) question n.2: 7weeks is apparently very long. What other country would you “pair” with guatemala? I’m looking for nature ,culture , friends, hikes and activities. A bit of beach life, and a bit of some not-wild party. Ps:i am 29, girl, on a budget. The first time I was in Guatemala was in August (or September, can’t remember exactly) and the weather was fine. It was also low season around Lake Atitlan which was quite pleasant. Apparently it was ‘rainy season’ but, for what it’s worth, I totally didn’t even notice this and only heard about this afterwards. Chicken buses are not a national symbol. You’re right. That introduction actually needs to be totally rewritten. I’ll be going to Guatemala next January and I was wondering, did you guys book your hostels on forehand? Or do you just write up some names/addresses and see where it takes you? And what is the best way to to this in Peru where I’ll be in July? If you only had 10 days, what would be your route in Guatemala? Thanks for the great writeup! Hmmm, probably 4 days to explore Tikal and Semuc Champey in the north, a day or two in Antigua, then spend the rest around Lake Atitlan (e.g. San Pedro) where you can relax take hikes around the volcanoes. Hi Campbell, great info! I use getsitecontrol for overlay widgets which I’m very happy with. (Most services like this cost $50/month or something crazy.) For something free but more basic, AddThis is nice too. Thank you so much for offering your wisdom! I was wondering if you could also offer a suggestion. I’m headed to Guatemala on my very first solo backpacking journey 🙂 I don’t have much of a game plan besides hitting a few destinations I’ve had my eye on (Tikal, Semuc Champey, Lake Atitlan) before I make my way down to Costa Rica for Envision Festival. As a female in her mid twenties, where do you suggest I head first? I’d love to meet up fellow travelers to sync up and adventure together! Any words of advice as to where’s best to try for that? I’m going to Guatemala in the end of January. I will stay there for a month (hope it’s time enough?). I will definitely use this guide! I’m travelling on a budget and can only afford being away for a month because of studies back in Denmark. But it all sounds very affordable, which is good! I’m travelling by my self in another country for the first time, which is both exciting and a bit scary. I cannot wait to see the country and what it has to offer. Thank you for the guide! 1 month is a perfect amount of time to see all of the highlights of Guatemala at a relaxed pace. I’m sure you’ll have an awesome adventure. 🙂 Good luck, Daniel! I just saw that you’ll be traveling solo in Guatemala? I will be too! It’ll be my first time in the area and backpacking as well. Where are you headed first? I’m trying to find out where’s best to meet others partaking on these adventures! I’ll be backpacking solo down that way as well around the same time! I’m thinking I’ll fly to Cancun from CA and work my down to Guatemala from there. I hadn’t heard of Envision festival but after checking it out online it seems like it’s something I can’t miss. Anyway, let me know what your plan is and if you’d like to sync up! When do you plan on reaching Guatemala? I’d love to meet up if timing works out! I’ll be meeting with some other solo travelers in Costa Rica, right before the festival. Other than that, my plans are pretty loose. I’ve got a few different hostels in mind, and some key sights/experiences to hit, but other than that I’m pretty open minded. Where are you on your travels now? I’m flying in tomorrow and I’d love to see where you’re adventures have brought you! Hi Jasmine! Just came across your post and thought I’d ask a few questions! I’m heading to Guatemala in 2 weeks alone. Did you enjoy your trip? Did you have any trouble in specific cities! 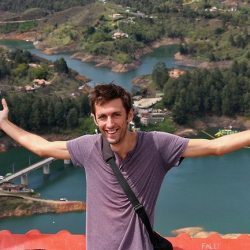 Your rough guides here helped me when planning my route through Central America. I have 6 months to travel so I have a bit more time than most people visiting but I just wanted to agree with you about Guatemala. It is a beautiful place where one can find themselves staying longer than expected. I encourage any traveler reading this to check out Finca Ixobel in Poptún, Guatemala. It is a great place to get off the Gringo Trail and still experience all Guatemala has to offer. It also has great volunteer opportunities for long term travelers! Next time you come through Guatemala stop by Finca Ixobel! I have traveled in Guatemala for many years on a very thin budget. The info you provide here is right on. It is an amazing place for adventure travel and backpackers of every stripe. I am presently on my greatest adventure in the country. It is my first trip back in 7 years. Working on a project in Cultural Anthropology in Antigua in 2008 I had an accident on a motorcycle I had toured down on. It resulted in a Spinal cord injury that put me in a wheelchair. Nonetheless the draw and truly magical quality of the country, especially the more rural areas has brought me back. Of course it is not easy traveling independently in my condition. There is little to no particular attention given to handicap accessible accommodations but i have found my way and so far surprisingly easier than i had expect when i set out driving from the states. I am presently staying in a place that has always had a particular draw for me, as it has had for hundreds, even thousands, over the past 30 years. I have been more than pleasantly surprised to find the facility fully accessible (with a bit of innovation and minor adjustments, such as a small wooden ramp added to the restroom.) I have found everything I need here and will find it very hard to leave when the time comes. 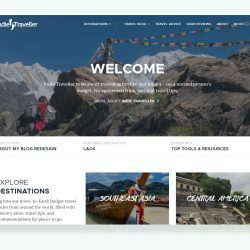 I was surprised that you had no mention of the Finca Ixobel ( http://fincaixobel.com ) in your description of destination and accommodations in Peten, Guatemala. Located only 3 klm south of Poptun, (klm 376), on the highway to Tikal,it is not only a beautiful and peaceful place to have a wholesome rest, the in house restaurant offers an extensive and very affordable menu featuring fresh baked breads, produce and even fresh eggs, all from the finca. In addition they offer cave tours, mountain hikes, and horse back tours as well as serving as an excellent base for tours to near by attractions. One can stay for as little as $5 a night camping, or $6 a night for very clean and comfortable hostel style dorms. Of course there are other prvate rooms, cabins, and even treehouses for a bit more. I really don’t mean to sound like an add for them but it is a place beyond special in the heart of Peten. It is a backpacker’s paradise and shouldn’t be miss. Unfortunately in the past years, sense the completion of the highway from Rio Dulce to Flores it has been missed by travelers on their way to destinations such as Semuc Champey and Tikal. Now they are struggling to survive. The new generation of travelers to these parts really need to know about the place. I just wanted to give a shot out and let others know, Finca Ixobel is worthy as a destination for backpackers and all travelers visiting Peten, Guatemala. It should not be missed. Thanks. Hope to see you soon. I’m actually from Guatemala, and I would definitely love to go backpacking with someone else. If you would like to come to Guatemala let me know, and we’ll plan the best backpacking trip in Guatemala. Even if you live here it’s a whole other world when you travel this way, you get to meet so different places and people. Thanks for a great write up on many of the top travel destinations in Guatemala. It’s great to see people promoting travel in such a beautiful country that is often overlooked or misunderstood due to a long and complex history of corruption and violence, predominantly during the time of the civil war. I went to Guatemala in March of 2010 for what I thought would be a quick trip and I ended up staying for over two years. I now write passionately about the country at my blog, La Gringa Chapina http://www.lagringachapina.com. It would great if an experienced and established blogger such as yourself would check it out! I would love any feedback you could provide. I am hoping through this blog to add the positive promotion of the country and encourages others to have an authentic experience while abroad! Thanks for the writeup. I”m putting Semuc Champey and Tikal on my must-dos.